Is it enough to calculate the amount of debt you have and focus exclusively on making that number smaller? I’m an accountant and a licensed insolvency trustee, so to me, the numbers matters. That being said, getting into debt and struggling to get out of debt again has a lot to do with behaviour and mindset. My guest today first appeared on episode 14 of Debt Free in 30 to talk about his newly released book, Wealthing Like Rabbits and followed up that interview with one about good debt vs. bad debt. Robert Brown is back to shed some light on the importance of changing our perspective about debt. we use the word saving too much and we often use it improperly. If we go out and buy a big screen TV we say we saved money, when in fact we haven’t saved any money. Roberts book is full of anecdotal stories, rather than math and charts. It’s filled with pop culture references like Star Trek, The Simpsons and Mario and Luigi. It’s this approach that helped Robert’s book become a Canadian bestseller. [get] in the habit of starting to save by getting an automatic contribution into one of the registered plans or another, even if it’s only $10 a week or $20 a week. Habits become very powerful things. They allow us to adapt our finances to meet our goals, rather than allowing our circumstances to stop us from saving or otherwise achieving our financial objectives. In his book Robert presents a picture of two brothers – Mario and Luigi – who each buy a home. One buys a slightly less expensive home, makes better decisions about his down payment and amortization period and in the end pays $400,000 less than his brother. Robert recommends that when you are considering a big purchase like a house you ‘visualize’ that difference. What could you do with the extra money if you bought a smaller home or handled your mortgage differently? Even in a hot real estate market you need to consider the implications. What happens if you lose your job? Are you giving up on vacations to pay the mortgage? It may have worked out in the long-term ’cause the market has supported it so far, but that doesn’t mean the last five years has been a lot of fun financially for you. For more advice on how we use credit, including the way we see ‘free money’, listen to the podcast or read the full transcript below. Doug Hoyes: We’ve got a great show for you today. My guest is Robert Brown, the author of a fantastic book, Wealthing Like Rabbits. Robert first appeared way back on show number 14 that aired back on December 6th, 2014, so that’s about 15 months ago and I’m glad to have Robert back. Robert Brown thanks for being here. How are you doing today? Robert Brown: Doug thanks for having me back. It’s been over a year since I sat in this chair and I’m really looking forward to talking to you today. Doug Hoyes: Well, I’m glad to have you back and I think we had you on two shows, actually. The first one and then a subsequent show, I think it was our good debt versus bad debt show. And so, what I’ll do is I’ll put links in the show notes to both of those shows to that people can get up to speed on what we’ve talked about. So, you can go over to hoyes.com and see that. Now, let’s talk a little bit about your book. Wealthing Like Rabbits was published in 2014. And am I correct in assuming that this very show, Debt Free in 30, was the first podcast show that you appeared on to publicize the book? Robert Brown: That’s absolutely correct, Doug. We released the book in September of 2014, and I think I was on this podcast or this show – December. That was the first radio appearance that we made. Doug Hoyes: There you go, excellent. And so, is it true that as we sit here in February 2016 that this book is now a Canadian bestseller? Robert Brown: Yeah, we went through the bestseller barrier at the end of November this past year, 2015. And I think it’s safe to say that we wouldn’t have made it if we hadn’t done the Debt Free in 30 review. Doug Hoyes: Well, there you go. And that’s exactly what I’m thinking. Obviously this show is what launched you into bestseller status. Now of course, I’m joking. The reason your book is a bestseller is it’s a great book. As I said back on show number 14, I thought the entire book was great, but the first chapter, in my opinion, was the best first chapter of any – certainly any personal finance book I’ve read. And I’ll again, put links in the show notes to all of that. But now that our listening audience is certainly bigger than it was back then and perhaps there’s people that haven’t heard about the book and what you’ve done, can you give us a quick overview? First of all the title, Wealthing Like Rabbits. It’s not wealth, it’s wealthing, which is I think a word you’ve made up. I don’t think that’s in the dictionary. Wealthing Like Rabbits, what’s the book about, what does the title mean? Robert Brown: Well, the book is – well, let’s talk about the title first. Wealthing like Rabbits comes from two ideas inside the book that I kind of mashed together for a cute little cheeky title; it’s a play on words obviously. And in the book I suggest that we use the word saving too much and we often use it improperly. If we go out and buy a big screen TV we say we saved money, when in fact we haven’t saved any money. Perhaps, we’ve spent less, but we still spent money. And unless you take that money that you didn’t spend and put it away for long-term somewhere, you haven’t saved a thing. So, I suggest before we do any “saving”, and I’m making the quotation marks as I say that, we should instead, any saving for the long-term at least, we should call that wealthing instead. And there’s two reasons for that, Doug, first of all wealthing sounds cooler than saving. Doug Hoyes: It does sound cooler, I agree with you there. 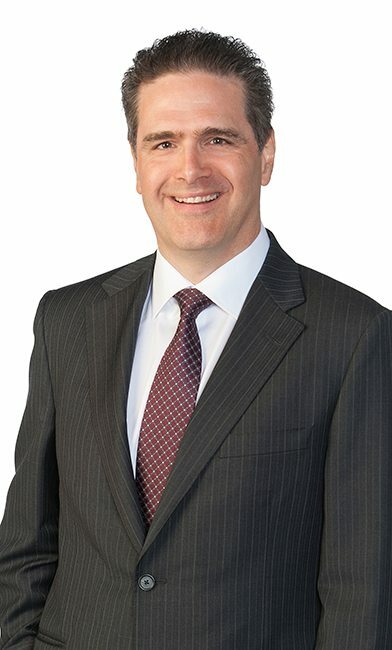 Robert Brown: And secondarily it gets people thinking a little differently and the difference between really saving some money for the long-term and just spending a little bit less money because of a sale or something like that. And the “like rabbits” part of the title comes from part of the book where I’m talking about compound interest. There’s a lot of personal finance books out there that drag out the math for me and the charts to talk about how much your money can grow given enough time. Well, in doubt instead what I did is I dragged out an antidote and a true story of what happened in Australia when an 1859 – a farmer there decided he wanted to go rabbit hunting on his new farm in Australia, well there were no farms in Australia at the time. So, legend has it he had 24, 24 rabbits Doug, shipped from England to Australia where he released them onto his farm. And 60 years later there was 10 billion rabbits in Australia. Robert Brown: And it’s a problem that Australia still struggles with today, it’s one of the worst invasive species examples in history. So, that was kind of a fun way to show how much numbers can compound upon themselves once they get enough momentum. So, I kind of took those two ideas and mashed it together for the title of the book. Doug Hoyes: And so as you say, the book is not a math book. It’s not here’s a bunch of charts, it’s – would you describe it as a bunch of stories, I mean anecdotes I guess is the way you’d describe it? Robert Brown: Yeah, I think it’s fair to say the book is a little bit eclectic, what it is, is an introductory personal finance book. And when I wrote it, I really worked hard on avoiding the math formulas and financial jargon that’s so common to our industry. And instead, what I did is I used a lot of stories and pop culture references, anecdotes to give examples of personal finance to make it a little bit more interesting and more accessible for the first-time reader. Every chapter has a little pop culture reference or a different way of teaching the lesson, but the lessons are really strong foundational, personal finance subjects. Doug Hoyes: Yeah and I think it’s something that resonates with people. I mean you have – you use Star Trek for example in an analogy and I’m pretty sure you’re on a major network and half the interview was about Star Trek if I’m not mistaken. Robert Brown: Yes I did enough speaking about tribbles on national T.V. Doug Hoyes: Okay, so we won’t get into tribbles here. How has the book resonated with people, then? You’ve done a lot of author events. You’ve been to pretty much every Chapters bookstore in Ontario I believe. What is it that resonates with people? Is it oh I loved your Star Trek story or is there something else? Like when people read the book and they meet you, what do they say? Robert Brown: I think they like the style of the book in that it’s entertaining. One of the – I’ve had a couple of nice compliments about the book. And someone said you know what? Even if they didn’t have an interest in personal finance, even if they hadn’t learned any financial lessons, they simply enjoyed the read, like reading a fiction book. And that was a nice compliment to read. I had a mom, a 40 something year old mom, who took the time to read the book together with her 17 year old son and it reminded her of when they read the Harry Potter books together. So, I thought that was a really nice story. But beyond a shadow of a doubt, one of the best experiences of writing a book of this nature is when you get emails from people who have read the book and say things like, you’ve changed their lives or they started a debt repayment program or they opened up an RSP or a tax free savings account and they really taken action on the lessons in the book to start off on a better financial future. It just doesn’t get better than that. Doug Hoyes: That’s fantastic. And so, if someone has read the book and wants to get in touch with you, the best way is through the website I assume? Robert Brown: Yeah, the book has my email address in the book. They can also get a hold of me through Twitter or they can get a hold of me through my website, which directs them to my email address. There’s lots of ways to get a hold of me. Doug Hoyes: And the website address is what? Doug Hoyes: So, just like the title of the book, wealthinglikerabbits.com. So, you I assume started working on the book, I don’t know, around 2013 or something. It was published in 2014. Is there any advice in the book that you look back and go oh, well, I was totally wrong about that. Or anything you would Tweet today or anything you would emphasize differently today? Robert Brown: I don’t think there’s anything in the book that was wrong or that I would change dramatically. One of the goals when writing this book was to write an introductory book that was entertaining, but at the same time, I didn’t want it to be silly. I wanted the financial advice in the book to be introductory, but I still wanted it to be sound and foundational. And that if people follow this advice and this advice only, and never read another book after it, although I’m not recommending that, if that’s what they did they would probably find themselves in better financial shape 10 years from now then they did today. There’s a chapter in the book that talks about the differences between RRSPs and tax free savings accounts. And I’ve had to tweak that a couple of times since the book was released. And will have to tweak again this year because of the changes in the legislation that have happened over the past couple of years with changes in government. Doug Hoyes: Uh huh, yeah. 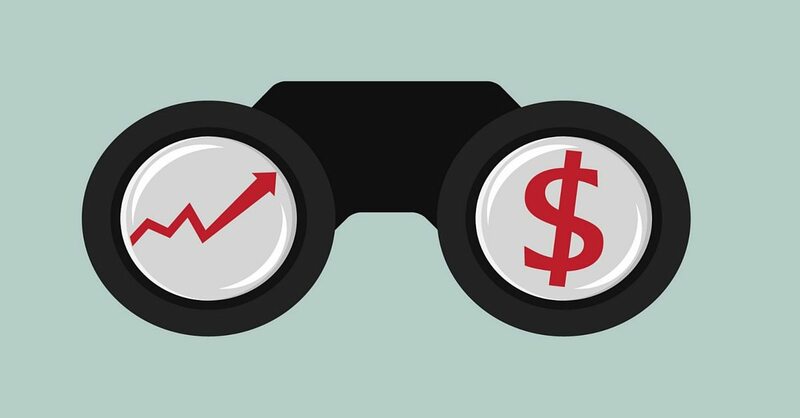 The TFSA got reduced for 2016, RSP rules have – again, constantly in a state of flux as well. Robert Brown: And there’s been some slight changes to mortgage qualification rules in the last three months and to be honest I wouldn’t be surprised if there’s more in the next six months. So, I’m just going to wait till all that filters out after the next federal budget and revise the book all at once, once that happens. Doug Hoyes: Got you. So, you mentioned RSPs and TFSAs, so okay, I assume on a basic level if someone listening to us today has a lot of debt, then the answer is well you’ve got to deal with your debt first, don’t be putting money into an RSP or a TFSA if you’re paying 20% on your credit cards. Do you agree with that? Robert Brown: I agree with that 95%. Certainly if the person has a lot of high interest credit card debt or even worse payday loan debt, the math certainly suggests that paying off your debt before starting a savings plan, whether or not you choose an RSP or a tax free savings account, the best thing to do is pay off your debt first. I do have one caveat to that. We see lots of examples of people who go on a debt repayment program and they work hard and they pay off their debt. And what they should be doing is once the debt is paid off take some of that money that was going toward debt and start saving it now. But too often they skip that step and don’t start saving. So, I’m a big fan of even when you’re paying off debt, getting in the habit of starting to save by getting an automatic contribution into one of the registered plans or another, even if it’s only $10 a week or $20 a week. Even though the math may not technically support that, it’s important they’re in the habit of making savings and it’s easier to make the transition, to increasing their savings as opposed to starting them once the debt is gone. Doug Hoyes: That’s a very interesting point. So, you acknowledge that the math maybe doesn’t make sense. I mean okay taking $10 instead of putting it on my credit card where I might save 20% interest, I’m going to put it in a savings account where I’m going to earn less than 1. The math doesn’t make sense, but what you’re talking about is a habit. The habit is from my paycheque a certain amount of money gets saved. So, if it’s only going to be a small amount, five, 10 bucks, okay well that’s going to make a massive difference in the long-term in terms of repaying the debt, but I’ve established that habit. So, as I close in on paying off my debt, I’m already in the habit of saving. Robert Brown: Yeah that’s a behavioural decision. It isn’t necessarily a mathematical one. And obviously the math favours paying off the debt first, but so much of what we do is behavioural as opposed to strictly mathematical. And I’ll give you another example that backs up that point. I know people that have started savings plans when their in their 20s and didn’t have a lot of other financial commitments. And they were putting away let’s say $200 a month towards an RSP or their tax free savings account. Life comes along and they get married and have a couple of kids, take on a mortgage, some people stop making those RSP payments so they can focus on those other priorities. Other people, because they’ve been disciplined early in life, still find a way to take on those financial responsibilities and still contribute to their RSPs as they go through that because they’re already in the habit of doing so. They adapt their finances in order to allow them to do it, as opposed to allowing their circumstances to dictate for them to stop saving, if that makes any sense. Doug Hoyes: Yeah, habits are very powerful things. Robert Brown: Habits are very powerful things. Doug Hoyes: And that’s why I like having someone like you on the show ’cause obviously I’m an accountant, to me it’s all about the numbers, numbers, numbers. But what you’re saying is yeah, obviously the numbers are important, but there are some other factors to consider. So, let me ask you another question, then. Your book obviously talks a lot about saving and investing, which we just talked about, but I want to focus a little bit on the debt side of things. So, in your book you ask your readers to visualize $400,000. Doug Hoyes: And I believe you’re referring to a mortgage in that particular example, so, why? Why do you make that suggestion? Why do I need to, I know what it means to visualize, but why do you make the suggestion that I need to visualize that debt? Doug Hoyes: What are the names of the brothers? Robert Brown: The brothers are Mario and Luigi. So, each of them buy a house with 100,000 gold coins. But the lesson from the mortgage chapter is they make different decisions on what kind of house they bought and on how they handle the mortgage. And when Mario and Luigi buy their home there’s a difference in price of the homes of $150,000. But by the time the mortgages are paid off, 20 and 25 years later, the brother that spent more on his house, that would be Mario, spent over $400,000 more than his brother did on a home that only cost $150,000 more. He paid this extra money because of the decisions he made on the size of the home he bought and how he handled his mortgage. He put down a smaller down payment, he paid for default insurance. He spread it out over a longer period of time. He borrowed against the mortgage halfway through. All the types of things that we see people doing all the time today. And I think people know that it’s costing more money, I’m not convinced that they fully understand just how much more money it’s costing them. And the example in my book is $400,000. Then when you go to the next chapter you’re absolutely right, Doug, I asked the reader to step back and take a moment and really think of what $400,000 is. Because I say that an interesting but dangerous thing happens when we start talking about houses and mortgages and money. We sometimes lose perspective of what numbers mean when we start talking about tens of thousands or $25,000. And it’s important to sit back and think a minute, what does $400,000 mean? What could you do with that $400,000 that you would end up with that wouldn’t be going to your mortgage or mortgage payments if you bought a smaller home and handled your mortgage differently? $400,000 for most people is an awful lot of money. It’s more than the price of one of the homes in the book, they didn’t buy in Toronto, and you could buy a family cottage for that kind of money. You could put both of your kids through university for that kind of money. I think it’s important that sometimes that we step back and really put things in perspective when we’re talking about large numbers. In fact, the title of that chapter is perspective. 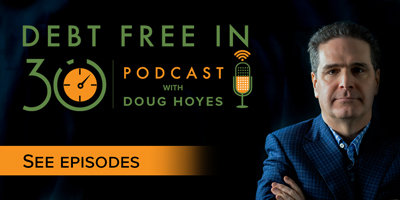 Doug Hoyes: Yeah and I think changing your debt perspective is – it’s going to be the title of this episode I think of Debt Free in 30 today, too. Robert Brown: Glad I could help. Doug Hoyes: There you go, I appreciate it. Have an author on and he’ll come up with titles. I think as human beings I can visualize the number three. If you were to put three balls on the table here, I wouldn’t have to count them, I can say yeah that’s three balls. And if you were to put six or seven coffee mugs, well I guess in your case it will be Starbucks mugs. Read the book, you’ll know what I’m talking about, then I can visualize that. But if you put 400,000 bee bees in a big class container, I would have no idea if that’s 400,000 or 50,000 or five million, that’s too big a number for me to visualize. I can’t do it. Robert Brown: It’s 20,000 20 dollar bills sitting on your kitchen table. Doug Hoyes: 20,000 20 dollar bills. Let me do that math, yeah I guess you’re right, if I move the zero that is correct. So, what you’re saying is I’m trying to decide whether I buy a house I’m either Mario or Luigi in your story and my choice is I can buy a house. So, in your book they bought a house – each brother bought a house of a different value. Robert Brown: Yeah, I think one brother’s house cost $375,000 and the other brother cost five and a quarter. Don’t hold me to that, but it was something like that. Robert Brown: At the time I wrote the book those were the – one of the two was the average priced home in the average city in Canada, which if memory serves was Orillia, but I’m not sure about that. But I did the research, the lower brother bought the average priced home in Canada at that time. Doug Hoyes: And so, by buying a house that may be a little bit less than what I could otherwise potentially qualify for, over the long-term, and by as you say making some correct decisions along the way, shorter amortization periods on the mortgage and things like that, I can save $400,000, which okay $400,000 I don’t know what that means, it’s a big number but it’s going to be 25 years from now, who cares? Your point is, well, visualize that, visualize what $400,000 really means. As you said, that means – that’s probably more than enough money to put your two kids through university. Robert Brown: Another example I use in the book is I show some examples of how much money you would pay with a mortgage amortized over 20 years and 25 years. It was the same mortgage amount but the longer mortgage worked out to, and again don’t hold me to the exact numbers, Doug, but I think it was something like $75,000 more just for stretching your mortgage out for another five years. Without even considering that you’d be paying a mortgage for another five years. You’ll be paying an extra $75,000. And someone said to me it’s not that big a deal Rob if you spread it over 25 years, so I make the example in the book if you don’t think that’s a big deal that you send me a cheque for $1,700 every year for the next 25 years. And I don’t think the person did. Robert Brown: No, you’re absolutely right. And again, it’s such a big number. And even 25 years, can we visualize in our head what 25 years is? Doug Hoyes: I can sort of, I can look at a calendar and figure out what 25 years ago was and what was I doing 25 years ago. And I guess people who are listening to this show who were born 24 years ago have no conception of that. But, they’re big numbers you’ve got to make them concrete. Robert Brown: Yeah, do the math and figure out what they actually mean. And visualize it, keep it in perspective, understand what it means. Doug Hoyes: So, as a basic principle then when it comes to let’s say buying a house your advice would be what? Buy less than what you can afford as opposed to more? Because let’s be honest here, you and I have both over the last number of years have told people don’t overbuy, don’t overbuy, don’t overbuy. But if back in, I don’t know, 2010 or 2008 in Ontario you had leveraged yourself up to the hilt, bought the biggest house you could afford, as of today, you’d be doing fine. Robert Brown: Well, you’d be doing fine in terms of your property value versus what you borrowed. That doesn’t mean you’d be doing fine after you bought it if you were leveraged up to the hilt. What if you lost your job two years into that mortgage? How much extra money did you have to go on family vacations? How much extra money did you have to buy a new car or even a used car? It may have worked out in the long-term ’cause the market has supported it so far, but that doesn’t mean the last five years has been a lot of fun financially for you. And if you’re leveraged to the hilt there’s a cost of borrowing that kind of money and a lot of people don’t even do the math of figuring out exactly how much money they’ve borrowed or how much money they’ve spent in leveraging their home even though they’re able to sell it at a higher price. Doug Hoyes: And I guess if you and I were sitting in Calgary having this discussion right now it would be an easy discussion. Obviously in 2015 the oil price started to fall and it was still falling into 2016 and house prices in Calgary, for example, or Edmonton, the same thing, have dropped in many cases by over 20%. Robert Brown: Here’s the other piece of that argument. Had you bought a smaller, less expensive home even in the GTA five years ago, you still would have been able to capitalize on this increased value as the market has gone up, but you wouldn’t have needed to leverage or expose yourself financially as much in order to get that house. And maybe you would have had some extra money to make some extra mortgage down payments or save some money towards your retirement or just go out for dinner a little bit more often. Everything wouldn’t be wrapped up in the house. Doug Hoyes: Right, so the fact that your house went up in value by X number of dollars, yeah, but for the last five years you’ve been spending $500 more than what you realistically could have, that was money you could have deployed elsewhere, you really do have to take a look at the big picture and that’s the whole point of changing your perspective. Robert Brown: And the only way you can realize that increased market value is to sell your home and now you’re buying into the same market. Doug Hoyes: So, it comes around. Well, excellent. That’s a great way to end the segment. Thank you very much. So, again the book, Wealthing Like Rabbits and you can find more about it at wealthinglikerabbits.com. Robert, thanks for being here. Robert Brown: Doug, it’s always a pleasure. Thanks for having me. Doug Hoyes: Thanks very much. We’ll be back with the next segment in a minute. You’re listening to Debt Free in 30. It’s time for the Let’s Get Started segment here on Debt Free in 30. I’m Doug Hoyes and my guest today is Robert Brown who is the author of Wealthing Like Rabbits and you can read all about it on our website at hoyes.com or on wealthinglikerabbits.com. Robert, I’d like to talk about a concept that you talked about in your book, free money. Doug Hoyes: So, free money is, you know, we think when we use a credit card and buy something we obviously go to the store, we buy something, we take that thing home with us, it in effect didn’t cost us any cash in that transaction – it’s kind of like free money. And the problem I guess is that many people don’t create a repayment plan for this free money because their perspective is skewed. They haven’t visualized the debt as we talked about in the first segment and as a result, they don’t have a plan to repay it. So, obviously this buy now, pay later mentality leads to debt. So, you threw some numbers out, I believe these were in your book, that we as Canadians are carrying something like 75 million credit cards. And it’s probably a bigger number today than when you wrote the book a year and a half ago. Robert Brown: Visa, MasterCard, American Express, those sorts of things. Doug Hoyes: The big ones, yeah. And then you throw in another 24 million retail cards for all the big box stores and gas stations and whatnot. So, we’re up in the hundred million range of credit cards and you also in your book had a statement, “credit cards are a convenient and flexible payment tool,” which I think you got from a bank. That’s a bank talking. Robert Brown: A bankers association website and yeah I’ll jump in here a little bit here, Doug. I quote a bankers association website and what they’re saying about credit cards and I kind of call them out a little bit. And you’re right, the bankers association said that credit cards are convenient and flexible payment tool, a payment tool. And I changed that and said a credit card isn’t a payment tool at all. A credit card is a borrowing tool. If you go to the store and buy something on your credit card you haven’t paid for anything. You’ve borrowed the money from the credit card provider, be it a banker or whoever, and now you owe them that money. You haven’t paid for anything until you pay back the credit card. But what a credit card does is allows the disconnect between the purchase and payment, so people are more likely to make that sort of decision. There’s been a ton of research that has been done that says people are far more likely to spend money with a credit card than if they had to pay with cash. And I think as significantly, are willing to spend more money with their credit card than if they paid by cash. There’s a lot of studies out there about the average amount of money that people spend at restaurants, and almost exclusively the average cheque of a credit card payment customer is about 20% higher than the average cheque of a cash paying customer. Doug Hoyes: Because psychologically if I’ve got to open my wallet and start peeling out the 20 dollar bills my brain knows that that’s real money. Robert Brown: Your brain knows that’s real money. And there’s actually a little bit of a psychological pain with parting with cash, where that pain is taken away when you use your credit card. Ask anyone you know who works as a server in a licensed restaurant which one of his or her customers spends and tips more, customers paying with cash or customers paying with their credit cards? They’ll give you a plastic answer almost instantaneously. Doug Hoyes: And so, if you’re working at a restaurant then you love credit cards. Doug Hoyes: But we’re here to advise the individual person. Now you’re not necessarily saying okay, well everybody should carry a wad of 20 dollar bills everywhere they go. Robert Brown: No, but I am suggesting that people think about their credit cards before they use them. And one of the best ways, one of the best lessons around credit cards is, that you shouldn’t be using it unless you have the money in the bank to pay it off at that time. And I say certainly for new credit card users, one of the best habits they can get into is okay you go out for dinner you use your credit card that’s okay. Now when you get home, go online and pay that credit card bill with cash. ‘Cause that really shortens the time in between when you’ve used the card and when you have to pay for it and your spending awareness will increase a great deal if you do that. Doug Hoyes: Because you’re putting the pain with the gain. Robert Brown: You’re putting the pain with the gain. Doug Hoyes: Yeah, and my phrase to describe what you’re talking about is a credit card should be a substitute for cash, not a substitute for borrowing. That’s exactly what you’re saying. And I guess today with all these fancy apps we all have on our phone I could literally, sitting at the restaurant, transfer the money on my phone for my bank account to my credit card right away and that would focus me in on the fact that I’m borrowing, I’m not paying. Robert Brown: Or you could just pay for your dinner with your debit card and spend that time talking to your dinner date. Doug Hoyes: There you go. And it will be interesting to see the research ’cause, do people spend more money with debit cards than they do with cash? I suspect that they do. Robert Brown: I suspect they do as well. I would venture and this is anecdotal, I don’t have any information to back this up, that the gap is not as large between cash and credit cards because you at least have to have the money in your bank account to use your debit cards, but I’ll bet you’re right, people probably spend more money with debit cards than they do with actual cash. Doug Hoyes: So, we’ve been talking about changing your debt perspective so your advice is when you’re using a credit card, think about it in advance. Doug Hoyes: And if you do that, then at least you can visualize what you’re spending and hopefully control it a little more. Robert Brown: A good analogy is only use your credit card when you don’t have to. Doug Hoyes: Excellent, excellent. That’s a fantastic way to end it. Only use your credit card when you don’t have to. Robert, thank you for being here. Again the book Wealthing Like Rabbits and I’ll be back to wrap it up. This was the Let’s Get Started segment right there on Debt Free in 30. Doug Hoyes: Welcome back. It’s time for the 30 second recap of what we discussed today. On today’s show, Robert Brown, the author of Wealthing Like Rabbits talked about ways to change your debt perspective, including visualizing your debt to make it real. That’s the 30 second recap of what we discussed today. I’m a big fan of Robert’s book and I agree it’s hard for most of us to understand concepts like compound interest and how long it actually takes to pay off debt. That’s why visualize debt is a great exercise. Buying a smaller house or paying off your mortgage quicker, may save you his example $400,000 over the next 25 years. But 400,000 and 25 years are numbers that are so big they don’t mean anything. But if we visualize that $400,000 in savings and we realize that that’s enough money to put our kids through college or retire a few years earlier, it makes the money real. And it makes it easier to make sound financial decisions. That’s our show for today. Full show notes are available on our website including links to Robert’s book and Robert’s website which is wealthinglikerabbits.com. So, please go to our website at hoyes.com, that’s h-o-y-e-s.com for more information. Thanks for listening. Until next week, I’m Doug Hoyes. That was Debt Free in 30.